The Kentucky Derby is much more than a horse race. Its traditions have over a century of history and pageantry. The Garland of Roses, first established as part of the Derby celebration when they were presented to all the ladies attending a fashionable Louisville Derby party. The famous Twin Spires were the finishing touches to the Grandstand in 1895. Pick your favorite pony in the 143rd running of the Kentucky Derby & You could win a share of the Derby Dash Prize Pool. 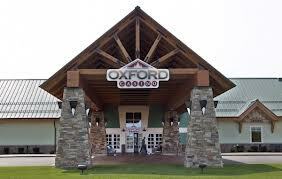 We will start the pool at $10,000 Free Slot Play and add $10 every time someone enters, up to $20,000. Make your pick at any Promotional Kiosk between Noon and 6:00pm. Doors open at 10:00am. Free Admission to watch the races, starting at 10:30. With a $50 wager, it includes a free Kentucky Derby Glass and free Kentucky Derby Buffet coupon & mint julep with $50 wager. Large screen TV’s, 15 betting windows, and a Kentucky Derby Hat contest. Enter the Derby Hat Contest and meet Anthony “The Big A” Stabile Radio Personality. And in the Racebook, reserved seating includes program and Kentucky Derby Hat. 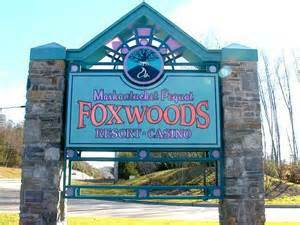 Call Foxwoods for more information. Wagering starts May 5th. May 6th, live from the comforts of the Uncas Ballroom. Get in close to all the action on 9 large race screens, 30 betting terminals and 1,000 seats. Meet and mingle with Mike “Mut” Mutnansky, talk show host for WEEI Sports Radio, Mike Vesce, writer and workout analyst for DRF and Jim Mazur from Progressive Handicapping. 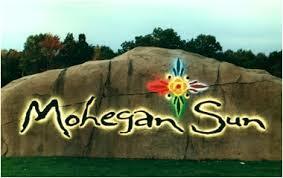 Make a $25 wager and receive a commemorative Mohegan Sun Derby 2017 t-shirt while supplies last and with a $50 wager, receive a pass to the Derby Festival Buffet. Advance wagering in the Race Book is available on Friday, May 5th. Make a $50 advance wager on the Kentucky Derby and receive a souvenir cap! Windows open at 11:00am. 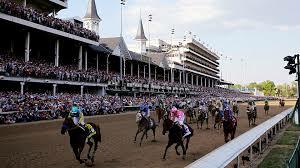 Please Join us Saturday, May 6th for The Kentucky Derby. Place your wagers in our 3rd floor nonsmoking Racebook or in the 2nd floor Racebook. From 2-4pm, in the Racebook, Enter to win a Yuengling Grizzly Cooler. Free to enter, first floor simulcast level. Meet & Greet the Yuengling Girls and receive a free keychain. That’s all for now. AANNNDDDDn THEY’RRE OFF!